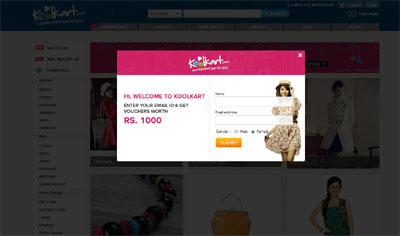 The vision behind Koolkart is to create a community of shoppers, where one can find the latest fashion trends suiting one’s style, at great prices. It also provides a platform for designer and shoppers to interact with each other over fashion tips and the latest fashion trends. We believe that recommendations from friends and associates play a great role in your shopping choices and for this reason, we have created a social sharing community where shoppers can get advised decisions on the products that they shop for. We are one such unique company in this regard and are hence able to beat competition.